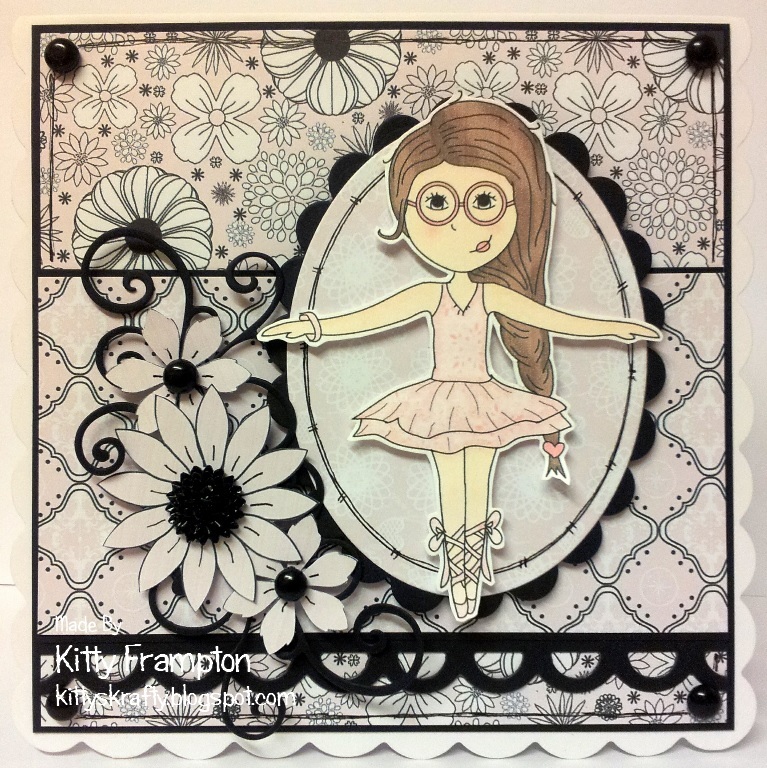 Today i have a quick card i whipped up using one of the fabulous new Digi's. This is actually one of coloured in girls that are available here. They are perfect if you need quick cards or are not very confident in colouring images - at least you can still use these cuties then! Along with the Coloured Girls i used some lovely subtle pink coloured papers that are from the Simply Sweet CD. I just love the papers on this cd, if you haven't got it it's definiately a must have. There are so many stunning patterns in every colour you can think of. The flowers are also from the CD too to you an literally create almost the whole card from the cd. I simple added a border, oval and flourish using a few dies.